18 years experience in Clinical embryology. 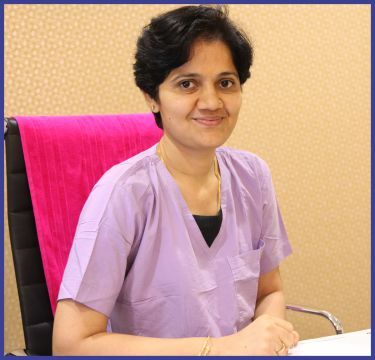 She has been trained for embryology and stem cell procedures from Spain, Singapore, Korea, Denmark, Istanbul. A credit of PATENT registered for male infertility. She has to her credit for Gujarat first PGS-NGS baby. Distinction of conducting thousands of ART cycles. Delivered lectures on embryology in National and International conferences and workshop. Expertise in Embryoscope, PGS, PGD, male infertility and triple parenting.